Many pet owners choose to treat their dog's yeast infections with natural products rather than seek medications from their vet. This is a guide about natural treatment for yeast infection in dog's ears. What are some natural remedies for yeast infections in my pet's ears? Key in "Blue Power Ear Wash" on thriftyfun's search engine. You'll get a lot of information on its use. For several years I've been dealing with ear infections my yellow lab kept getting. The vet would recommend one ear wash or another. He's been on anti-biotics and prednisone several times. Desperate, I finally started looking around for natural remedies and found your site this past Sunday. Today is Tuesday and his ears are the best they've been in quite a while. I used equal parts of organic apple cider vinegar, alcohol, and warm water with great success. I tried using the tea tree oil to soothe the ear but it never mentioned to dilute it so it irritated it. I then diluted it with extra virgin olive oil but it still irritated his hear flap so I've eliminated it. Anyway, thanks for the very helpful information. I almost forgot. I also started giving him Pavel's plain yogurt twice a day and he seems to have more energy. Just generally feeling better, I would say. Thank you all so much for your posts! 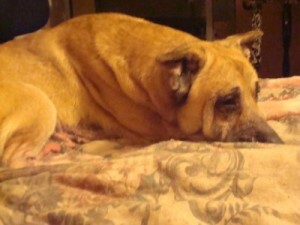 Shaya, my dog, had a yeast infection. I used the apple cider vinegar diluted with water for like 2 days. Took her to the vet today & she tested negative for yeast infection! :-) I dealt with these infections in her father. The meds they prescribed did some damage to his liver & kidneys. I have a rotweiller that has had ear infections to some degree for several years. I took her to the vet several times, but the meds they gave me didn't seem to help and every trip cost me upwards of $70.00 including the exam and meds. So after a little bit of research regarding the issue, I first read up on what causes the yeats infection in the first place. The main cause seems to be in the diet. So I went on a campaign to find dog food that had no *beef, wheat, starch or sugar* Beneful green label seemed to be answer. My husband insists on feeding them *bites* of people food so she still gets an occasional taste of the bad stuff. While I'm still not sure what the culprit is, I have managed to ward off most of the problem. When the infection does flare up (a few times a year) I simply use womens vaginal yeast infection cream. The applicator makes it a breeze to put in the ear, then I just massage it in for awhile. It's thick enough she can't shake it out, which is nice. It takes the annoying itch away almost instantly. One more side note. . . for those of you using a watery treatment like vinegar or alcohol mixture with water, saturate a cottonball with the mixture, tuck it under the ear flap and rub. The liquid goes into the ear with out annoying the dog by squirting inside. I am going to start this treatment tonight if I can get him held down enough to put it in. He is not a mean dog just has sore ears so been trying everything to keep him happy. Been there done that with the vet and it does not work. So, I will try this. Thanks all so much for all these tips. He is my baby and my boys and I would not know what to do without him. Thanks again you all are great. Which type of women's vaginal cream do you use on the dogs ears? Also what type of dog food has no yeast growing ingredents? Thanks for you help. When they already have the infection use the vinegar solution already mentioned in their ears. Give them a bath with at least a cup full of vinegar in the water, this is mostly to treat their paws to prevent re-infection. The last part is always the dog's favorite. Feed them a half cup of plain yogurt once a week. This helps prevent the growth of the yeast & also helps with the stinkers! (gas). There is an ear product called Zymox, it is a natural enzyme that attacks the bad yeast. they have a web site, and it is very inexpensive under 20.00, and no drugs, they also have a shampoo, (at kvvet.com) also, I read recently on Lew Olson's website b-nturals, that apple cider vinegar is high in sugar, and the three things yeast needs to survive are, heat, moisture and sugar, only use white vinegar for cleaning on a dog. I have a young dog whose favorite thing to do, is cruise the orchard and eat as many apples and pears as he can get, boy did the yeast love him. No more fruit and only white vinegar from now on. Dr. Jean Dodds, of HemoPet, has a new food sensitivity test on her website, it is just a cheek swab, under 60.00 and that includes the kit they mail to you, cheaper than a vet. Good luck all. Hello, I am reading this thread for the first time as my Golden Retriever has a yeast infection in both her ears. I took her to the vet yesterday; it was her first appointment as I recently adopted her from Retriever Rescue of Colorado. I have the medicine from the vet but would like to use the white vinegar from now on. Can anyone tell me if the white vinegar should be diluted or used straight from the bottle? How often should I use it? She weighs 70 lbs (ten too much) so I won't be giving her a bath myself. Should I apply the white vinegar to her paws also and if so, how often? I came across this site when looking to buy more mometamax without a rx. Impossible to do that. 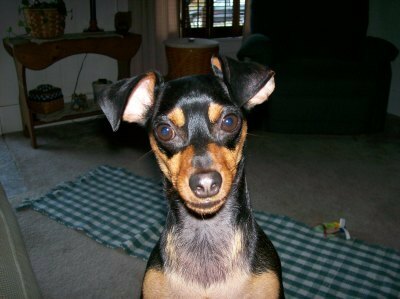 My Min Pin has recurring ear infections and a trip to the vet is costly! I am going to try the vinegar, alcohol, water solution tonight on a cotton ball. Wow, I am so glad I found out all this interesting information without spending a lot on a vet visit! Anxious to see if it actually works! Thanks everyone! My dachshund had been suffering from the ear infection for many painful months. Frustrated with the vets visits, and the more than $50.00 I kept paying every time to have the vets tell me the same thing, I finally got to searching for natural remedies. I thank you so much for posting this helpful information. The first time I applied the cotton ball with apple cider vinegar, rubbing alcohol and water, she was like a new and improved dog. She was so happy and excited that finally something helped! 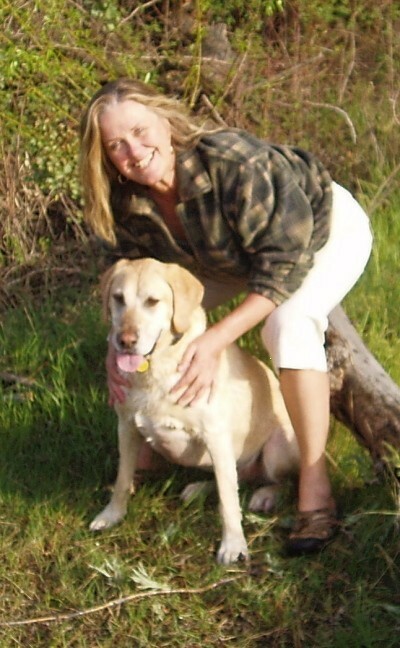 My dog Sugar and I say thank you! I found a mixture in equal parts of Monistat , polysporin and Cortaid (all 3 can be generic) mixed together well and placed in a container with a lid works wonders. My Basset no longer scratches her ears to the point of distraction (missing fur and huge hematomas). At first I applied it weekly into her ears after cleaing with a baby wipe. Fortunately, Basset ears are nice and roomy so it's easy to get down in the ear to clean. Then I get a tiny dollop of the magic medicene and apply it tothe canal opening inside of her ears and gently rub her ears. The body heat helps melt the ointment and allows it to coat the ear canal. I now only apply it when I bath her unless I see an abundance of wax build up. hi does it have to be organic cider ? Also what alcohol can you use ? Always dilute the vinegar 1 part vinegar to 1 part water. Straight vinegar is too strong and will sting. I have a 10 year old beagle mix, the only remedy for him has been absolutely NO grain. I tried everything remedy I could read about. The only topical treatment that helped at all was diluted vinegar with the mother. Is there a pill for yeast in my puppy's ears instead of ointment? Either use Zymox Ear Treatment that can be found in pet stores or mix your own concoction of Blue Power Ear Wash. You can find the recipe on this website or do a google search on the name. Many dog breeders use this as it's inexpensive to make and works great on long ear pets. I use it on my own dogs and they've never had an ear infection. 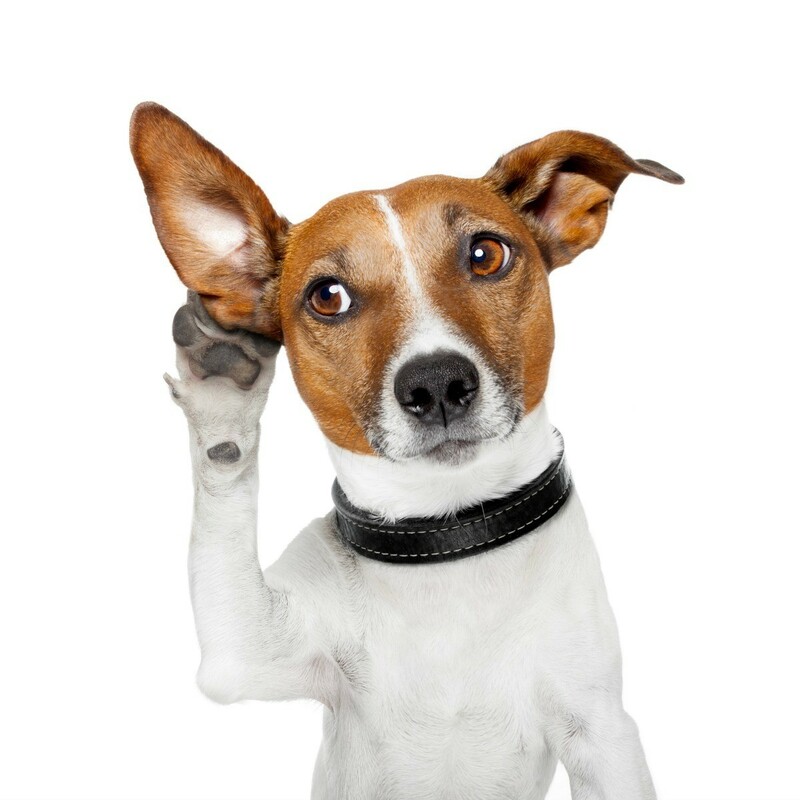 What amount of vinegar and rubbing alcohol do you use for yeast infection in dogs' ears? By Kate from West Leyden, N.Y.
My Labrador dogs have constant yeast infections in their ears, paws, and mouth. I have tried antibiotics, anti-fungals, and steroids, but I want something natural that will take care of the problem permanently without side effects. Thanks. My dog has been battling a yeast infection on his skin. We started with allergy tests and then shots. Within a few months he was so much worse that my husband and I decided it was not the way to go. Someone at PetSmart told me their dog was on allergy shots for 3 yrs and was not much better. We decided to look for a more natural product. After searching, I found products called enzymes and talked to someone at the enzyme.com phone number I found. #1) Plain Yogurt: Use plain yogurt with no sugar added. This is what I've used for years for my yeast infections "down there" so I see no reason why it wouldn't also work for your dog's ears. Make sure the yogurt has live and active cultures! I would warm it up a tiny bit just before you use it. Only warm it a tiny bit, because if it's heated beyond body temperature it will kill the live cultures and do no good at all. Room temp might be okay, but you don't want the cold to bother your dog and have him hate it! Just use about a half teaspoon in each ear twice daily. #2) Liquid Acidophiles: If the yogurt sounds a little weird, then go to a Health Food Store and buy some liquid acidophilus. It's in a brown quart-sized bottle in the refrigerated section of the health food store. To apply it, just use a clean eye-dropper each time you apply the liquid to your pets ears (once or twice a day). If it were me, I'd clean the eye-droppers off after every use with soap and water then use alcohol too. I would use a different eyedropper for each ear so you don't spread the yeast-infection from one ear to the other and mark them with a L and a R (right and left). Don't buy capsules or powdered Acidophiles, they aren't as effective as the liquid is! and be sure to keep the Acidophiles refrigerated! It comes in strawberry and Plain, obviously, you want the plain! #3) Wet Pet Food: Another thing I would do is switch your pet off of dried food and give him or her wet food. This is because dry dog food has carbohydrates (to bind the kibble together and as a filler) which turn into sugar and help feed the yeast. Look for a brand of pet food with the least carbohydrates, especially while the infection is going on. I feed my cat a teaspoon of plain yogurt twice a day... You should also add plain yogurt to your dogs food! I took Molly (Basset Hound) to the vet because I thought she had ear mites and I could not get rid of them. The vet told me it was yeast. She advised me to take white vinegar and hydrogen peroxide and mix 1 to 1 and clean her ears. My dogs have a yeast infection in their ears. I need a natural way to treat it. No money to go to the vet. Archive: Home remedy for my dog's yeast infection in her ears. My 1 1/2 year old mutt is continually getting yeast infections in her ears. The ointment we get from the vet is very expensive and was wondering if anyone knew of a home remedy.